holding shield and spear. Shield decorated with a gorgoneion. XXI in Exergue. VII in right field. Concordia standing left, holding patera and cornucopiae. Minted in Siscia (Sisak, Croatia) in 280 A.D. 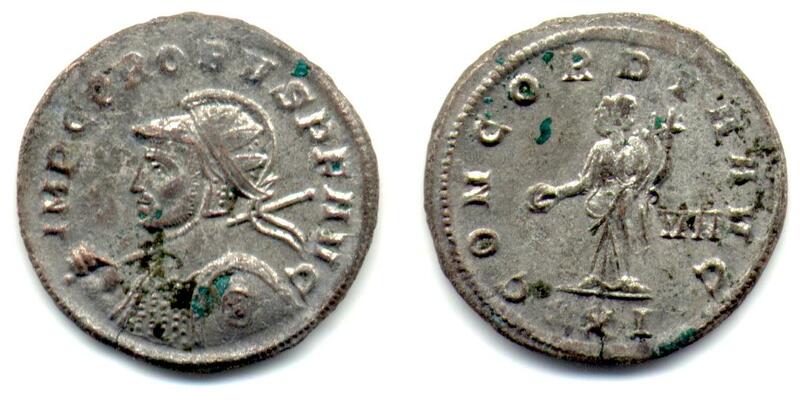 The reverse image is featured in ERIC on p368, as the plate coin for Probus' Reverse Type 4.